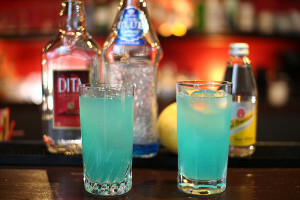 Today’s cocktail is China Blue. 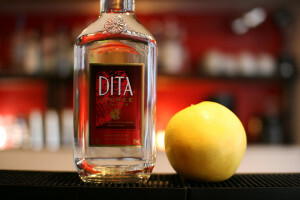 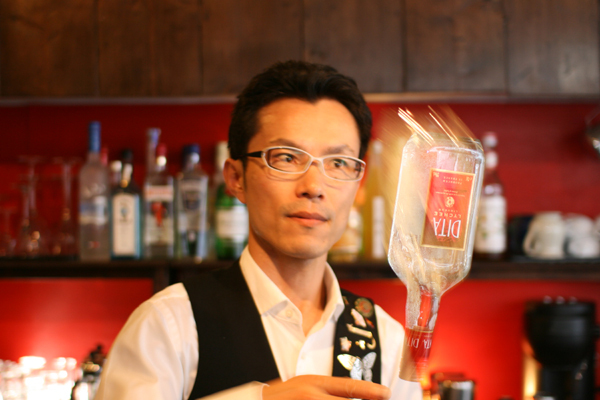 Pour 30ml of dita into a glass with ice. 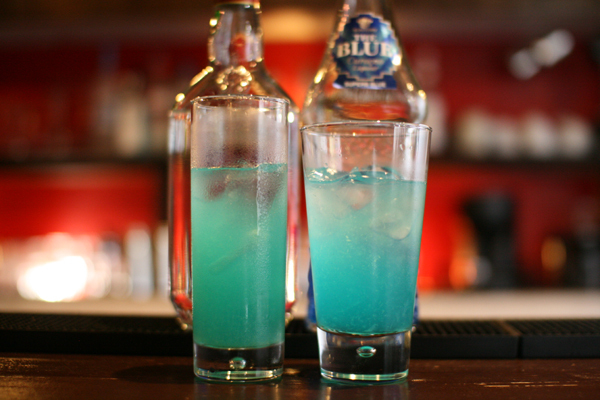 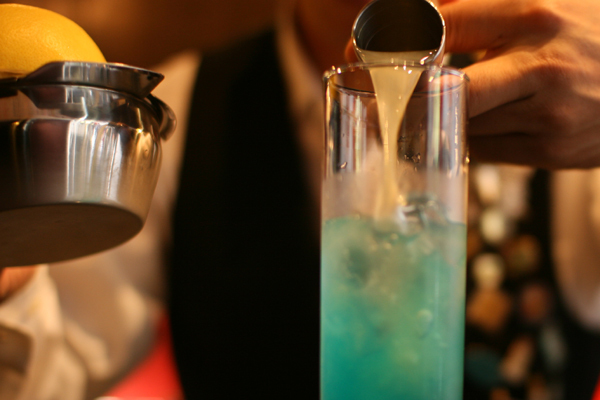 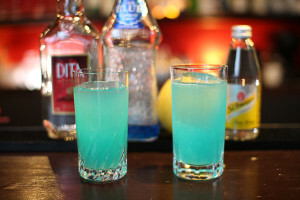 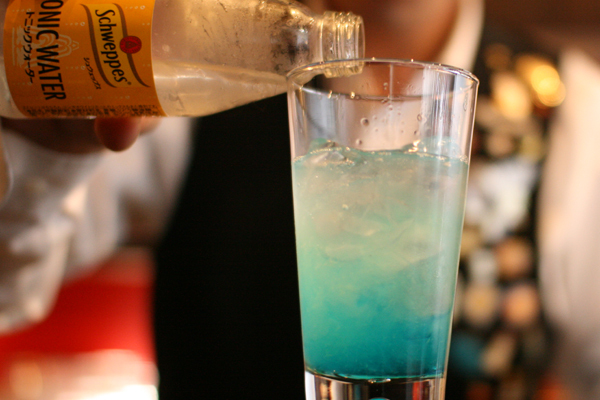 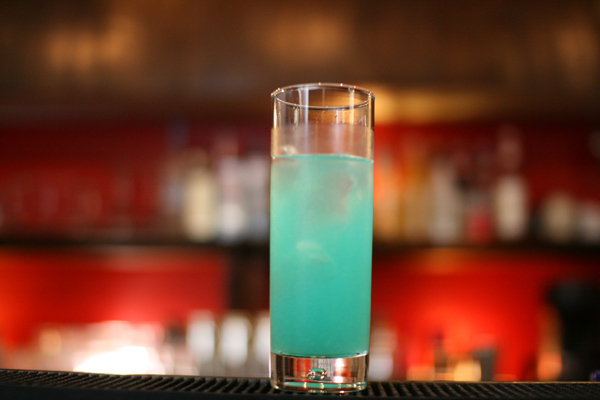 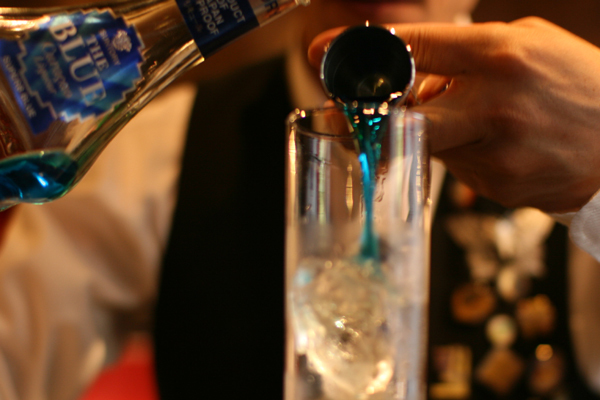 Pour 10ml of blue curacao. 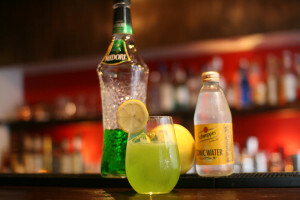 Pour 90ml of grapefruit juice or 45ml of grapefruit juice and add 45ml of tonic water. 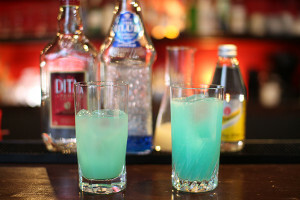 It looks beautiful blue color.